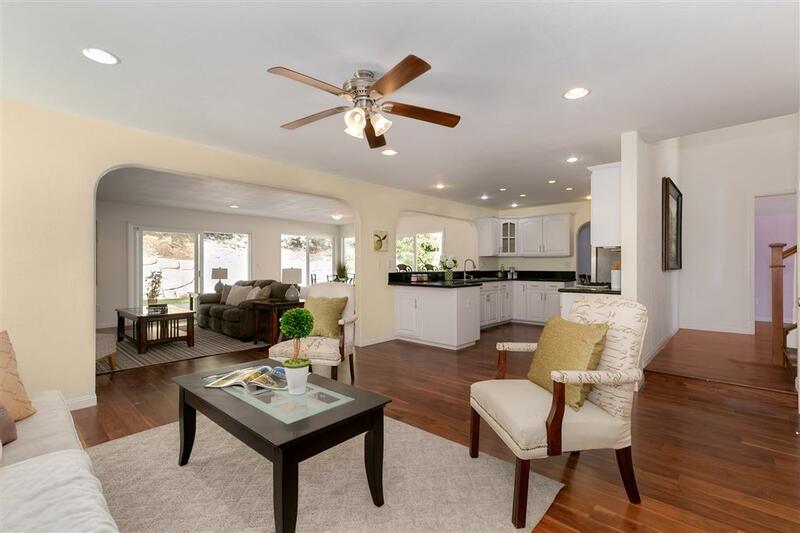 Located in Rancho Penasquitos is this beautiful 2 story turn-key home. 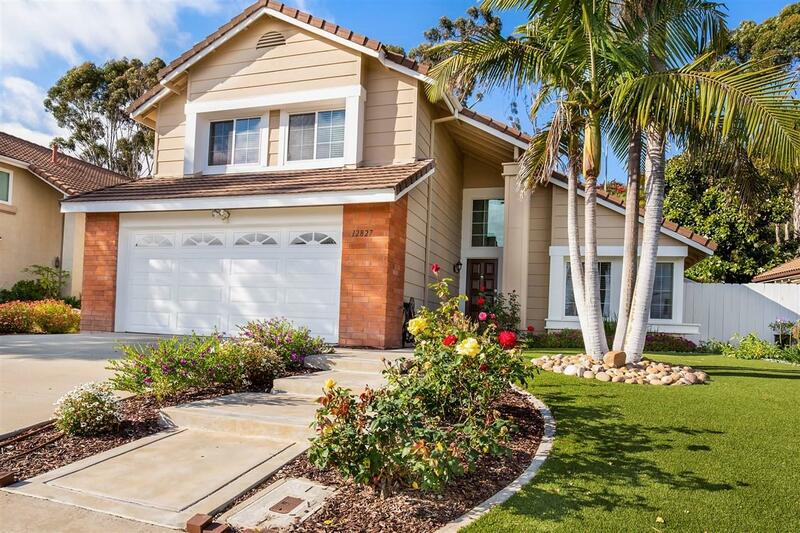 It is found in an award winning school district; it is within driving distance to 4 or 5 beautiful parks equipped with play structures; and it is close to a Recreational Center, a local library, and Rancho Penasquitos Towne Center. It is the perfect location! 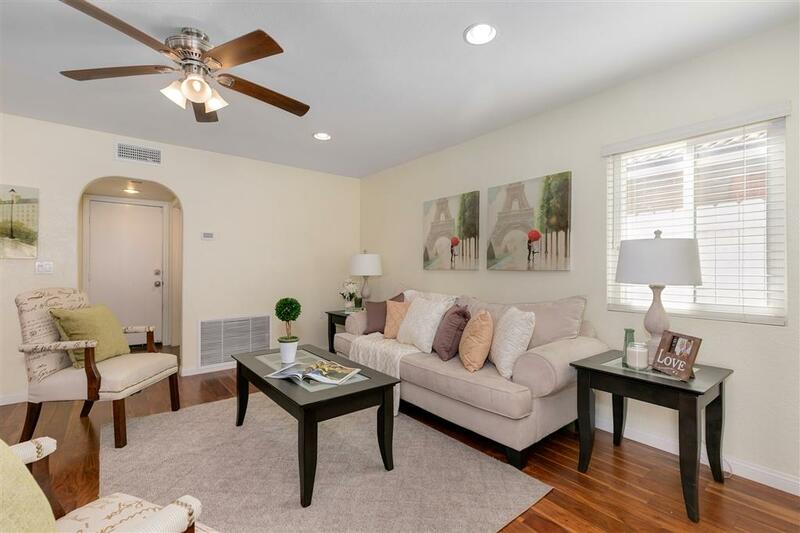 This home features- fully owned solar, hardwood floors, up to date furnace & A/C unit, fresh paint, a front bedroom downstairs - great for an office/exercise room/or playroom. It has a fully upgraded kitchen, upstairs loft space; low maintenance artificial grass & so much more! The formal living space uses an open concept and opens to the kitchen boasting white cabinetry, stainless steel appliances & an eat-at bar. This home even has its own in-house storage room complete with built in racks and a kitchen pantry. The master features vaulted ceilings, upgraded en-suite with dual vanity & step-in tile shower & walk-in closet with built-ins. Three secondary bedrooms, two full bathrooms, a full laundry room & loft/living space with built-in desks completes the upper level. 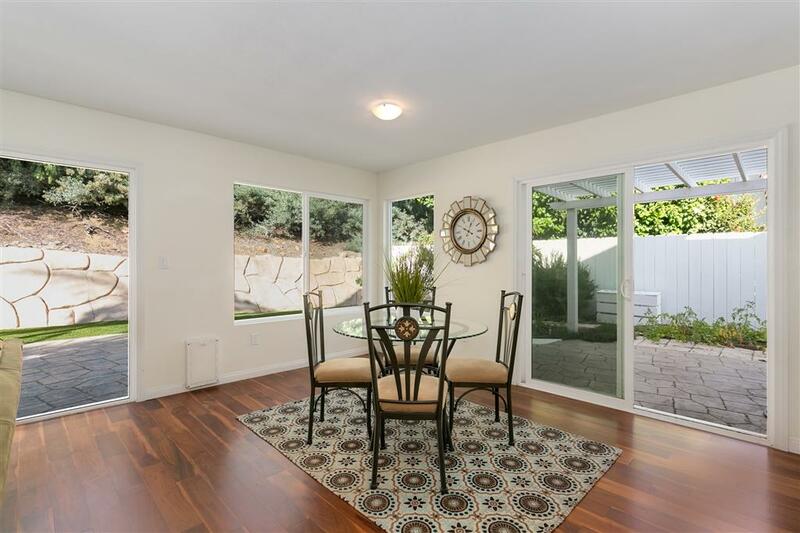 The private, outdoor living space is great for entertaining.